Relationships tend to be hard, however, when you have been the focus of prying camera lenses, it gets even harder. Perhaps that was the reason why actor Israel kept his dating life lowkey. With that being said, his Instagram account hinted about the star being in a relationship with an Instagram star. The Mississippi-native is an American actor best known for his roles in a variety of genres including crime, The Bling Ring (2013), the drama, Perfect High (2015), the thriller, H8RZ (2015) , the comedy, Good Kids (2016), and the slasher film, Happy Death Day (2017). Israel starred along with other actors including Noah Centineo in Netflix's teen romance movie, To All the Boys I've Loved Before. The Netflix movie released on 17 August 2018. The movie is based on the same-titled 2014 novel written by American author, Jenny Hal. The movie features a Girl named Lara Jean (played by Lana Condor) who sends love letters to her previous five lovers, and her life is thrown into chaos when they confront her one by one, starring Israel Broussard, Lana Condor, Anna Cathcart, Janel Parish, and John Corbett. Israel Broussard portrayed as Josh Sanderson, one of Lara Jean's (Lana Condor) love letter recipients. Apart from that, he was also announced to reprise his role as Carter Davis in the sequel Happy Death Day 2, which will be releasing in 2019. Israel, aged 23, was born on 22 August 1994, to parents, Angela (Clapp) and Lawrence Clayton Adams. His mother is a Mary Kay cosmetic consultant. He stands tall with the height of 5 feet 11 inches (1.8 m). At the age of four, his father passed away. He grew up in Saucier, Mississippi with his parents, mother, and stepfather, Gil Broussard. Along with her older sister, Aubrey, he has one younger half-brother, Keller, from his mother’s second marriage. Before the tragic Hurricane Katrina on August 29, 2005, he attended a public elementary school, where he took shelter when the disaster had taken place. The aftermath of the tragedy saw him homeschooled. Before moving to Los Angeles in 2010, Israel initially ignited the passion for acting while playing the role of Percy in Biloxi Little Theater’s production of The Miracle Worker in 2006. Two years after, he signed with Abrams Artists Agency after being ‘discovered’ by Hollywood scouts at an event in January 2008. In 2010, he finally moved to Los Angeles to pursue his dream to become an actor. Soon after settling down in LA, he started his acting career with minor roles in movies, Flipped (2010) and The Chaperone (2011). By 2013, he had landed the role of Marc Hall in Sofia Coppola’s crime film, The Bling Ring (2013); the movie was based on the real-life group of teenage burglars, the Bling Ring. He rose to prominence with a spectacular performance from the film. On the same year, he starred alongside Lilly Collins in the music video for M83’s Claudia Lewis, directed by Bryce Dallas Howard. His other movies include Perfect High (2015), Good Kids (2016), and Happy Death Day (2017). In 2018, he portrayed the lead role as Carter Davis in the sci-fi movie, Extinction (2018). From his succesful career as an actor, Israel’s enjoys the massive net worth of $2 Million. Israel Broussard Amidst Resurfaced Offensive Tweets in 2018: "This has been a pivotal life lesson for me." 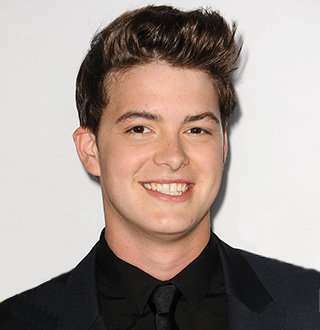 After the meteoric rise of Israel Broussard from the well-adored rom-com movie, To All The Boys I've Loved Before, in 2018, some of his 'haters' or 'investigators'-if you will- found some offensive tweets that the young actor had made back in 2016. In the following tweets, the 24-year-old actor, who plays love interest Josh in the hit film, appears to have refused a ‘gay’ role, accused the Black Lives Matter movement for causing division in the US, and mocked Japan following an earthquake in Tōhoku in 2011. After the reports about his derogatory tweets caught fire, those tweets were deleted, and in place of it, he issued a heartfelt apology. Hopefully, Israel has learned from his mistakes and sets a better standard as a role model for his fans after this 'pivotal life lesson'! Israel Broussard’s Dating Life: Meet his Girlfriend & Instagram Star, Keana Marie! Unlike many celebrities, Israel, despite being a succesful actor, seldom spoke about his dating life in public--which made it more interesting to find out about his dating status! The privacy-loving hunk's status changed from single to dating when Israel started seeing an Instagram star named Keana Marie. He and his girlfriend have been enjoying a steady relationship, which is spilled across their Instagram accounts. Although the story of how and when they met remains a secret, they’ve been flaunting their love for one another on their Instagram accounts since 2017. Their first picture together was posted on Instagram on 19 December 2017, where he introduced his girlfriend to his fans, stating that she was the best part of his life. The girlfriend-boyfriend duo has been displaying their smoking hot chemistry. It seems when you meet someone special, you just can’t control your desire to let everyone else know how happy you are-- at least, that seems to be the case for the young age actor. Comedian Todd Glass Long Gay Relationship With Partner; Did It Fail?